Having already recruited John Slattery and Christina Hendricks to give his new series, The Romanoffs, that comforting old Mad Men feel, Matthew Weiner has now revealed that he’s brought a ton of his old behind-the-camera crew back for the new show, too. 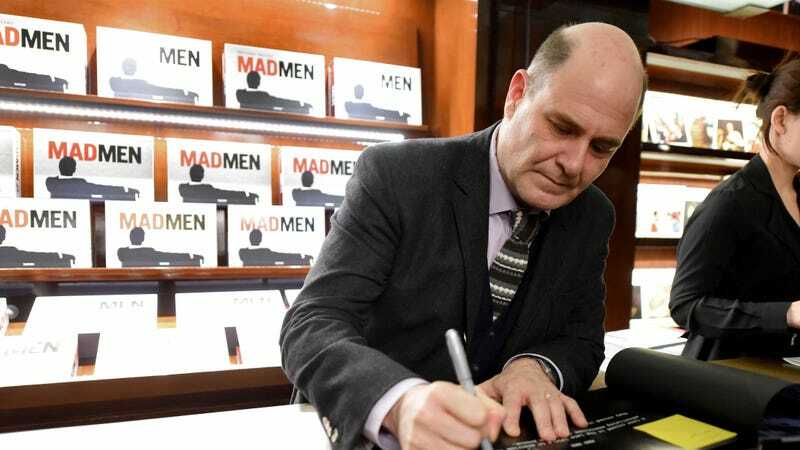 Variety reports that Weiner is teaming back up with Mad Men writer Semi Chellas, plus producers Blake McCormick, Kathy Ciric, Andre Jacquemetton, and Maria Jacquemetton for the new show. Meanwhile, he’s also re-recruited a number of the folks who helped define his last series’ iconic looks—including director of photography Chris Manley, costume designer Janie Bryant, production designers Henry Dunn and Christopher Brown, hair and make-up heads Theraesa Rivers and Lana Horochowski, and casting directors Carrie Audino, Laura Schiff, and Kendra Clark—to help him put together his new Amazon show. The series is being described as a series of eight standalone episodes, all set in contemporary times. The only guiding principle linking each story is that someone involved in them thinks they’re a descendant of the long-since deposed Russian royal family.